R&D Air Supply Pty Ltd has completed a major upgrade and replacement of the equipment in the existing Thermal Plant Room and a major extension and upgrade to the existing Data Centre's close control air conditioning systems, including installation of new Data centre air conditioning, serving the IBM Australia facility located at Cumberland Forest, 55 Coonara Avenue, West Pennant Hills. The existing Data centre facility consists of several buildings. The main reception and Data centre is housed in building A which comprises 4 levels. Satellite buildings B – G comprise a mixture of offices and Data recovery suites. 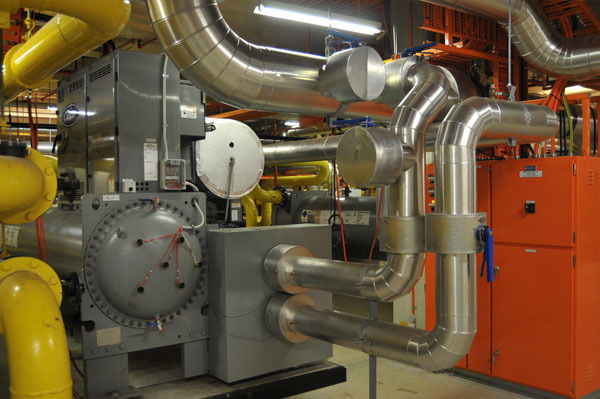 This was an extremely challenging installation and upgrade as the facility remained fully operational during these works and air conditioning was required to be maintained on a 24hr/7day basis. The project was carried out in unison with Isis Projects Pty. Ltd, (the construction manger) and Norman Disney and Young, (the mechanical services consultant). 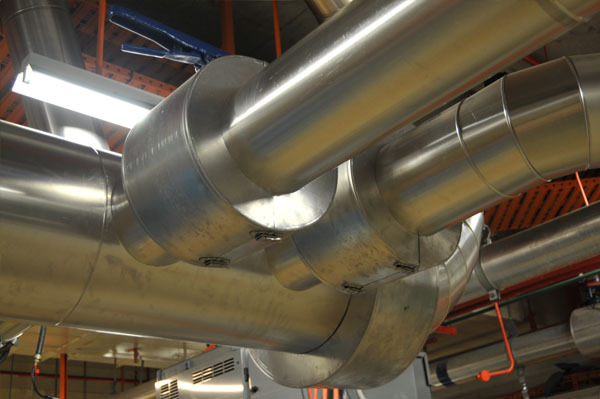 Close working bonds were established to ensure that the complex works were properly staged so that the air conditioning continued to operate to serve the critical Data centre facility and retain sufficient redundancy. 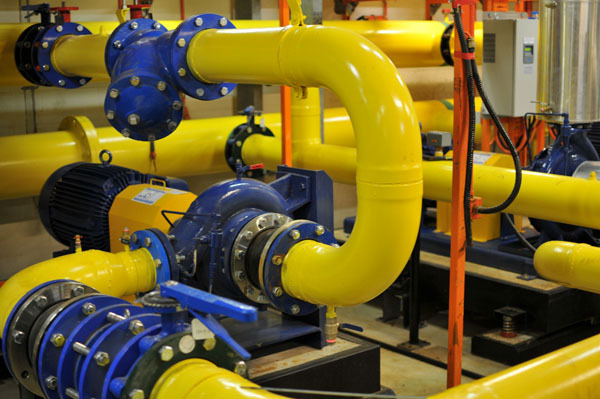 The mechanical services works involved complete upgrade and replacement of the existing thermal plant comprising 4 off water cooled chillers, 5 off primary chilled water pump sets and 6 off secondary chilled water pumps. Consolidation of the existing primary and secondary chilled water system into one central chilled water system serving the whole site. Upgrade and replacement of the existing condenser water system including installation of 4 off new twin cell cooling towers, 5 off condenser water pumps and associated internal and external stainless steel field pipe work. The thermal plant is located within the basement plant room. The access is limited and is provided through a hatch into the loading dock above. The logistics of removing existing equipment, and installation of new was a challenge which required extensive planning and coordination. The extension and upgrade to the existing data centre involved removal of the existing air conditioning units serving Level A3 and replacing them with the installation of new Data centre air conditioning units on Level A3. The new Data centre air conditioning consists of 11 new chilled water CRAC units serving the new data centre. 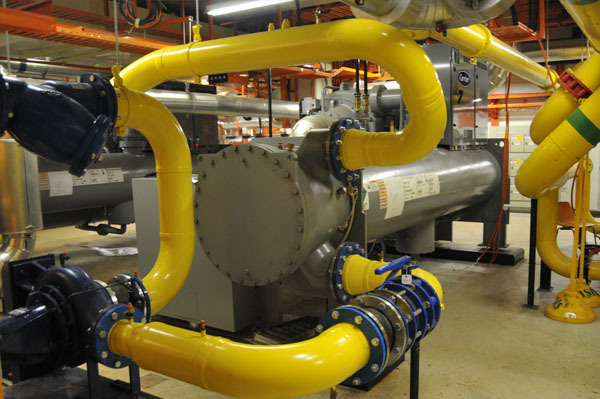 New chilled water Pipework was supplied and installed from the new thermal plant located in the Basement. This Data centre has been provided with 25% redundancy. A new UPS and battery room was constructed on Level A1 to serve the new UPS room to provide N+1 redundancy requiring 3 off CRAC units and a full economy "free cooling" ventilation system. The project was completed, within 8 months, in December 2008.